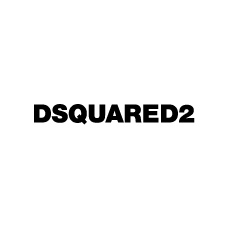 Individual, daring and creative, Dsquared2's approach to fashion is a distinct mix of heritage Canadian iconography, modern Italian tailoring and playful sensuality. Founded by twin brothers Dean and Dan Caten in 1995, the brand's collections are a seamless melding of contrasts: sporty and glamorous, laidback and extravagant, and masculine and feminine. "Born in Canada, Living in London, Made in Italy".